When you’re thirsty and head to the tap, you probably feel grateful that you have access to clean drinking water. There’s no denying the importance of a clean source of water. However, in the U.S., there may be more to tap water than meets the eye. 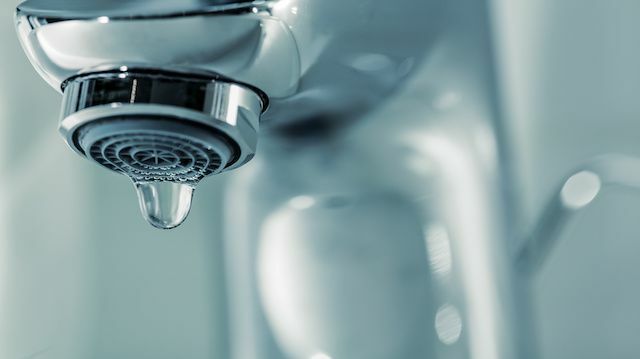 The debate over the adverse effects of fluoride in drinking water has sparked the interest of researchers, as well as the public. Today, the controversy is intensifying, and opinions are rapidly changing. For years, communities across the country did not have a choice — fluoride was added to drinking water without their consent. Where does this toxic additive come from? And what is it doing to our health? Fluoride has long been recommended by dentists to promote healthy teeth. However, this chemical is a byproduct of the fertilizer industry. When you think of increased fertilizer use, what comes to mind? The multibillion-dollar corporation Monsanto, of course. This company is responsible for increasing our exposure to numerous chemical cocktails. Another agribusiness giant and Monsanto ally, Cargill, is responsible for 70 to 75 percent of the chemicals used in fluoridation programs. The two companies make headlines time and again, and are known for their lack of ethical and environmental responsibility. The fluoride that is added to our drinking water comes from hydrofluorosilicic acid and sodium fluorosilicate — unprocessed byproducts from the production of fertilizer. Recent research is now suggesting that the use of fluoride in drinking water can also elevate exposure to both arsenic and lead. Fluoride use was first documented in Nazi Germany. High levels of fluoride were known to “dull the brain” and damage both male and female reproductive systems. The chemical was added to the drinking water in Jewish ghettos and concentration camps as a way to gain control of the Jewish population and reduce reproduction. Since then, scientists have uncovered further damaging effects of this toxic substance. It does not appear to support a reduction in tooth decay, and actually bio-accumulates within the body. Long-term exposure has been associated with a possible increased risk of cancer, reduced neurological function, increased bone fractures, and more. In 2015, a study published in the Journal of Epidemiology and Community Health found an association between water fluoridation and hypothyroidism. Residents of the West Midlands, a region in England where the drinking water is highly fluoridated, were twice as likely to develop hypothyroidism as residents of non-fluoridated areas such as Manchester. Another 2015 study focused on the neurodevelopmental effects of both pre- and postnatal exposure to fluoride. Based on the study authors’ analysis, it was found that after controlling for socioeconomic status, each one percent increase in fluoridation in 1992 was associated with approximately 67,000 to 131,00 new cases of ADHD in the U.S. Also, states that are highly fluoridated tend to report a higher prevalence of medically diagnosed ADHD. Studies have identified a link between fluoride and lower IQ in children as well. A 2014 study examined fluoride and arsenic and their association with memory, spatial learning, and glutamate levels in rats. Glutamate levels are involved in most aspects of normal brain function, including memory, cognition and learning. When compared to a control group of rats, the group given fluoride and arsenic displayed a decline in memory and learning ability. Glutamate levels also decreased in the rats exposed to fluoride. Perhaps the most concerning aspect of all this research is that for so long, the public has had zero say when it comes to fluoride exposure and consumption. However, people are no longer sitting back and keeping quiet. We want to know what is in our drinking water and how this affects our current and future health. As for Monsanto, more and more cases pile up against the company. Communities are stepping up and making their voices heard. The first critical step towards change is awareness; without the necessary information and knowledge, we cannot take action. If you’re concerned about the water supply within your local municipality, don’t be shy to ask questions and get people talking. You can also see which communities have rejected fluoridation since 1990 here. For the most up-to-date research and information, stay in touch with the Fluoride Action Network. Krista Hillis is passionate about nutrition, mental health, and sustainable practices. She has her Bachelors in Psychology and Neuroscience and is still active in her research. Studying both the body and mind, she focuses on natural health and balance. Krista enjoys writing based on her ability to inspire others and increase overall awareness. Previous articleIs The Air We Breathe Making Us Fat And Depressed? Hey Buddy!, I found this information for you: "Fluoridated Water, Monsanto, And Public Health". Here is the website link: https://www.thealternativedaily.com/fluoridated-water-monsanto/. Thank you.